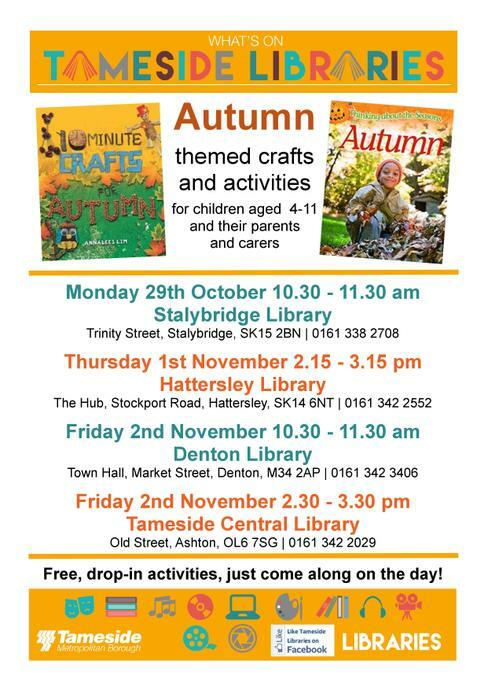 What's on this Autumn in Tameside! 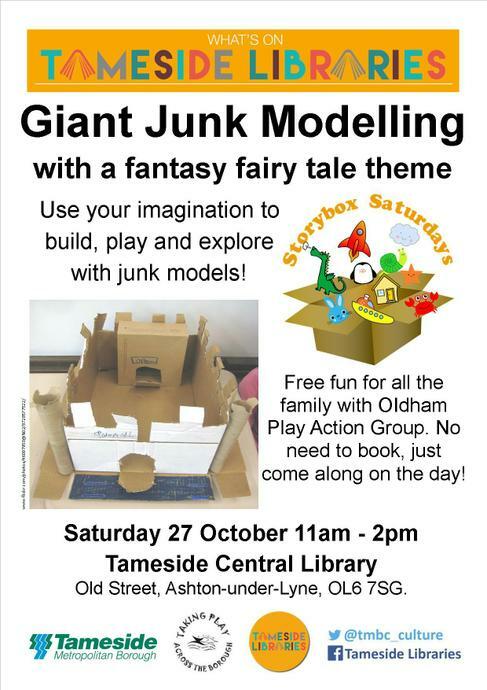 There are lots of free events taking place in Tameside Libraries this half term. 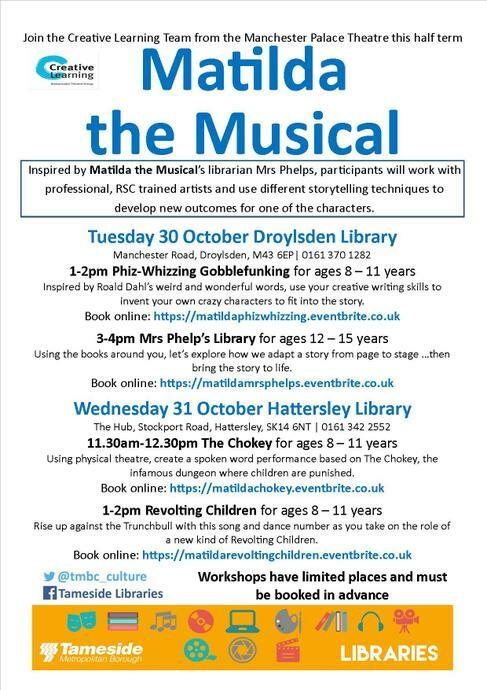 There’s Giant Junk Modelling, Autumn craft activities and workshops based on Matilda the Musical led by the team from Manchester Palace Theatre!